Hike Arizona – One of the best resources out there, in my humble opinion, and not just for Grand Canyon. They have trail and trip reports, including photos, for all of Arizona. These include hikes to places you probably have never heard of before. I LOVE this site! This link is to Grand Canyon’s trails, but be sure to explore through the site if you are interested in other places in the state. Natural Born Hikers – This has evolved into quite an amazing site and wonderful resource! A collection of trip reports that allows searching for trails by “Terrain” or “Trail” and then by areas or states. Arizona is featured very nicely, but then we do have some wonderful trails, don’t we? Grand Canyon has 7 different trail reports ranging from a stroll on North Rim’s Bright Angel Point to several Rim-to-Rim hikes. The site is a nice resource and the reports all include photographs – not mobile responsive. 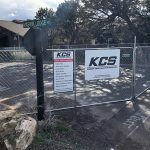 Kaibab Journal – No new trail reports, but a great resource for a ton of trails. It’s really hard to find sites that have updated trip reports anyway with the way things change so much. The site is worthless on a phone, so you’ll definitely want to view it on your desktop, but it has nice photos to give you an excellent idea of what you’ll encounter on the trails. Nature Valley Trail View – Not trip reports per se but Google Earth for trails! Tom Veik’s Hikes – Especially check out Sept 2001 Rim to Rim Hike Preview for an excellent overview of the entire hike in maps, images and profiles. 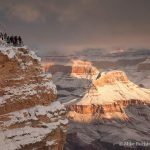 South Rim to North Rim – The author has also included some great tips and his equipment list which can be very helpful when planning when your own hike.